Quorum Technologies own the Polaron brand, and in early 2006 they also purchased Emitech. ProSciTech is the sole distributor for these three brands in Australasia, south of Singapore. Some additional data may be available from www.quorumtech.com. 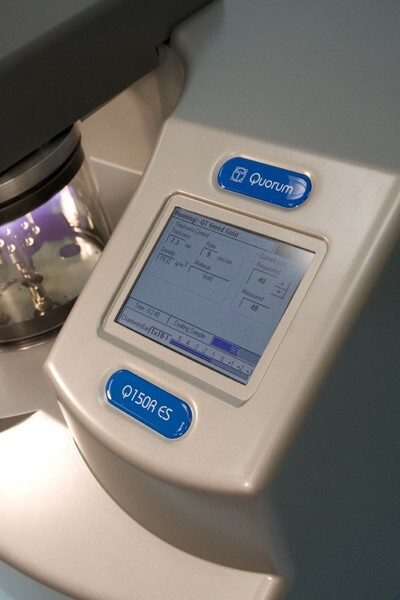 Warranty: Quorum Technologies offer a standard 12 months warranty on all instruments. This can be extended to 3 years by filling in and returning the registration form. Pumps are excluded from the extension. 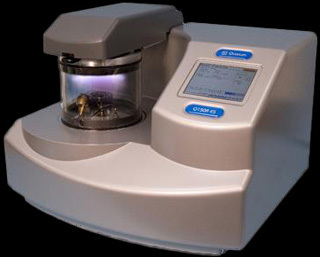 Quorum/EMITECH's range of sputter coaters includes the K695X. 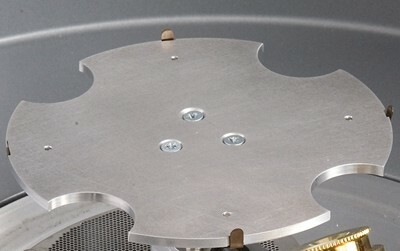 The K695X is able to coat single 12" wafers in one operation, and with its unique sputtering arm can sputter two different target materials sequentially. These units are all benchtop units utilising magnetron target assemblies. 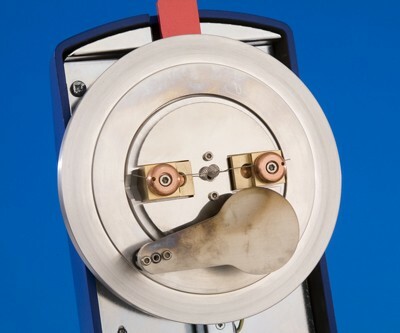 The magnetron target assembly enhances the efficiency of the process using low voltages and results in fine grain and cool sputtering. All units are designed with an integrated panel and plug-in electronics to maximise up-time. All systems are engineered for easy operation and they are well suited for multi-user environments. The independent rotary pumps are controlled by the instruments throughout the process. 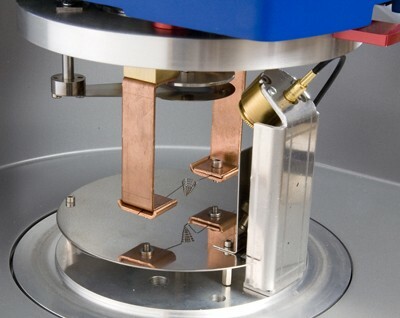 The triple-target system is particularly useful in the semi-conductor wafer industry. 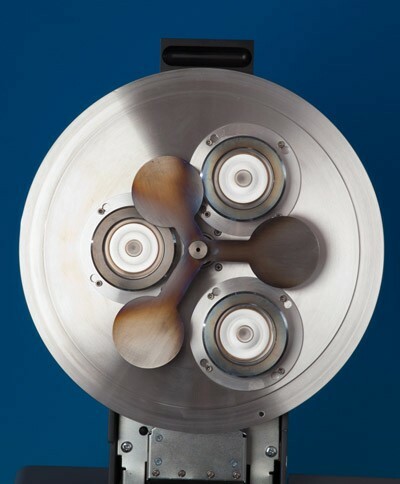 It has a turbomolecular pump backed by a rotary vacuum pump. The integrated instrument panel and plug-in electronics maximise 'up-time' and, with user friendly designs, ensures satisfactory multi-user discipline. The sputtering parameters can be pre-set, including the gas bleed needle valve which has electromagnetic valve back-up. The independent vacuum pump is controlled by the instrument throughout the fully automatic coating cycle. 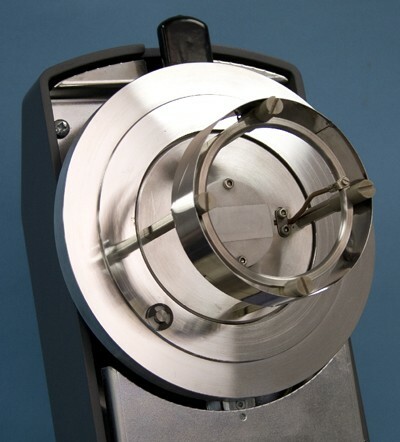 It can be used to sputter coat targets such as gold, and also targets that may need pre-cleaning, or the removal of oxide layers such as chromium. A shutter assembly is fitted as standard which allows a sputter cleaning and the sputter cycle to be carried out while maintaining the vacuum. When a glow discharge is formed between a Cathode and Anode using a suitable gas (typically Argon), and Cathode target material (commonly Gold) the bombardment of the target with gas ions will erode this target material, this process being termed "Sputtering". 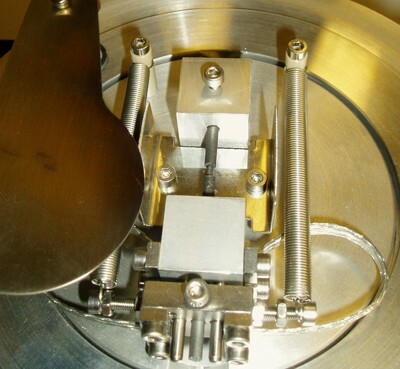 The resulting omni-directional deposition of sputtered atoms will form an even coating on the surface of the specimen, normally located on the stage (anode) of the instrument. This electrically conductive thin coating will be representative of the surface of the specimen. It will inhibit charging, reduce thermal damage, and improve secondary electron emission which are beneficial for Scanning Electron Microscopy. Most targets are held by a cover or crimped around the edge - if yours is not that type it must be glued. 'Glue' used must be electrically conducting. For 'professional' mounting use a few slivers of indium wire on the support plate, cover with the target and then either place in an oven with a flat weight on top of the target or use a smoothing iron to heat the gold and hence melt the indium. Placing something like a piece of lens tissue onto the target would protect it. For a short time a temperature a little higher than melting point of Indium is required; m.p. 156.6°C. Alternatively use a bit of silver conducting paint, best find a few small drops of paste at the bottom of the jar. You could also make a paste using our silver powder and a little commercial epoxy glue - method under Silver powder C920 on page C8. Only spot gluing is required, but keep a weight on the target while drying/ curing. The use of carbon films on TEM specimen grids or as carbon coatings is common in electron microscopy. These films add little to the background signal and they have relatively good electrical conductivity. Thin films (5 nanometres) are used in TEM to stabilise some specimens. Thicker films (up to 30 nanometres) may be used for TEM support films and in SEM for X-Ray microanalysis. Commonly, a high vacuum evaporator with carbon rods is used to produce these coatings and this system is preferred for some applications. The use of carbon fibre, has allowed a flash evaporation technique, which is suitable for many general EM requirements. Quorum manufactures a range of evaporators to meet all needs. Carbon coatings produced in high vacuum have a finer grain and these are preferred for some TEM applications; flash evaporated carbon is used for conventional SEM and EDS /WDS. Carbon fibre must be used in the low vacuum, rotary vane pump only. For high vacuum system carbon/graphite rods are preferable. PUMPS: All carbon evaporators require an appropriate size, two stage mechanical pump. Turbo pumped instruments include the turbo pump, but require a mechanical pump to back the turbo pump. ProSciTech supplies pumps for these instruments or as separate pumps for other equipment quite competitively. Inquire for more information. 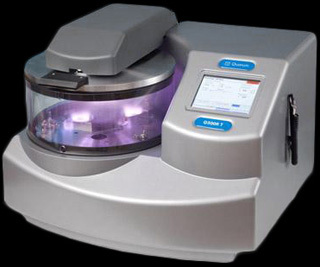 The KSC7620 is a compact, low cost SEM sputter coater. When combined with the optional carbon attachment KSC7620-CF it makes the ideal low-cost SEM sputtering and carbon coating system package. 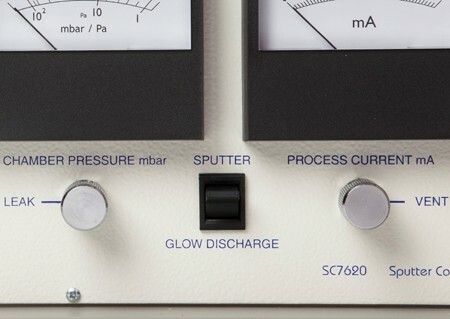 The KSC7620 is fitted as standard with a glow discharge function, making it ideal for the hydrophilisation, or 'wetting', of carbon-coated TEM grids and other surface modifications. The KSC7620 is robust, easy to operate and is backed up with a three-year warranty. 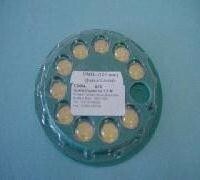 NB: The KSC7620 is primarily designed for use with tungsten filament SEMs; not FESEM. 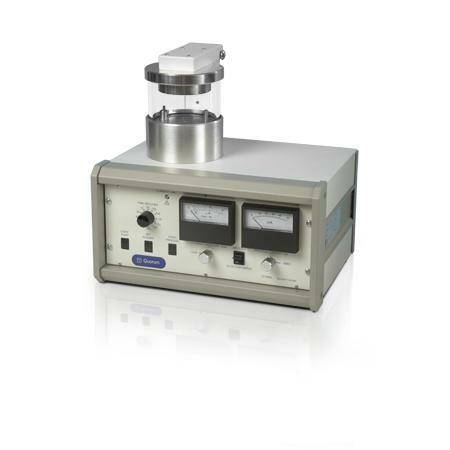 For extra fine grain coating required for most FE-SEM applications, high vacuum coating is required - see the KQ150T, or for larger specimens see the KQ300T-T.
KQ150R is a compact rotary pumped coating system ideally suited for SEM and other coating applications. All Q150 models have a colour touch screen interface. 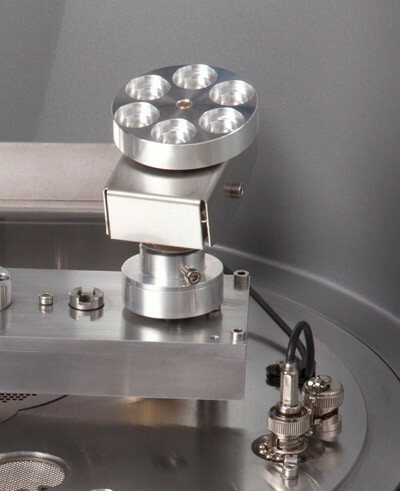 The KQ300R-T is a large chamber, rotary-pumped coating system ideally suited for sputtering a single large diameter specimen up to 8"/200mm (eg a wafer), or multiple smaller specimens over a similar diameter. 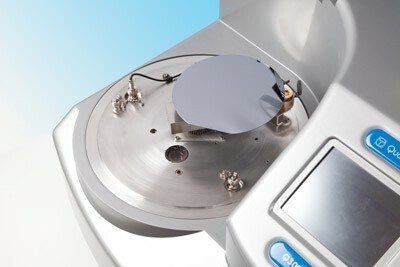 The KQ300R-T is fitted with three individual sputtering heads to ensure even deposition on a range of specimen types. 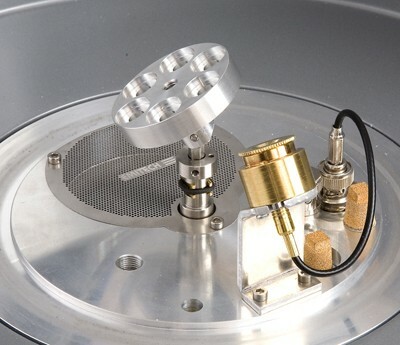 The system is designed to sputter non-oxidising (noble) metals - eg gold (Au), gold/palladium (Au/Pd) and platinum (Pt) - and is fitted with three individual sputtering heads to ensure even sputtering deposition over a large diameter. Gold (Au) targets are fitted as standard. NB: For sputtering non-oxidising and oxidising metals, see the KQ300T-T Triple Target, Large Chamber, Turbo-Pumped Sputter Coater. 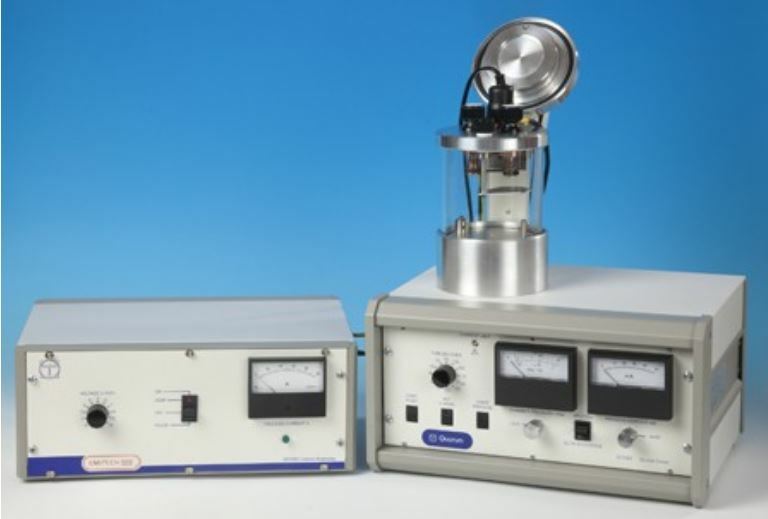 For sequential sputtering of two different oxidising or non-oxidising metals, see the KQ300T-D Dual Target Sequential Sputtering System. 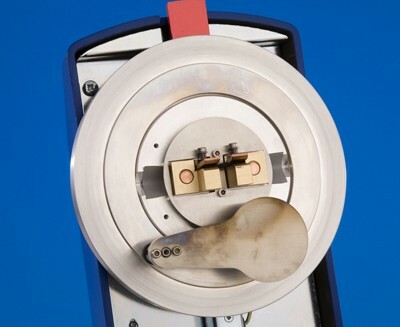 Rotation of specimens during evaporation or sputtering increases uniformity of coatings and this is often a desirable feature, even with flat specimens. Most Emitech coaters are supplied with a rotating stage, which also allows setting the angle of tilt prior to evacuation. 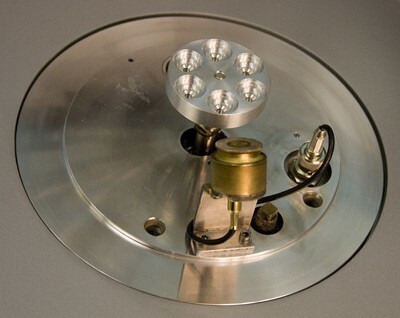 For Emitech instruments there is a choice of several more complex stages as optional extras. The stage holds 6 samples, with the tilt fixed at about approx 45 degrees. During coating, the samples rotate in relation to the central axis. Each planet is bored to hold 3.2mm pin mounts, 1/4 inch pin mount and 15mm diameter mounts. 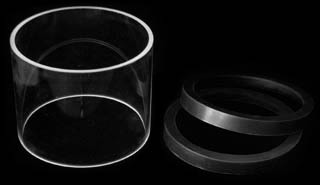 These replacement glass cylinders and L gaskets suit any sputter coater or vacuum evaporator requiring the listed dimensions. Eg. KG6260 fits the KQ150T. PST tends to hold these items in stock to allow for rapid delivery. They may not show as "available" because they may be part of a set costing above our price cut-off. 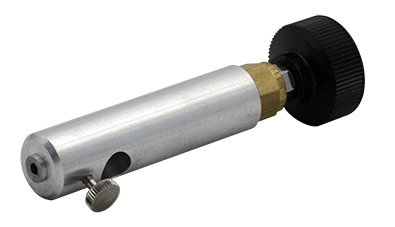 Sputter coaters are available with carbon & metal coating attachments. These FTM crystals are used to determine the thickness of material deposited and may be used to terminate coating at a pre‐set thickness. The quartz crystal is placed in the vacuum work chamber. One face of the crystal is exposed towards the deposition source so that as material is deposited it will coat the crystal. The crystal is connected via a vacuum feed through to external components, the system functions as an oscillator, whose output is controlled by the frequency of crystal oscillation. As material is deposited on the crystal, so its frequency is modified. Crystals may be cleaned and reused many times. KC5464 ‐ This quartz crystal suits all Emitech FTMs. The KC5464 crystals are for use with the old K series coaters, Emitech range of products (K950X etc). 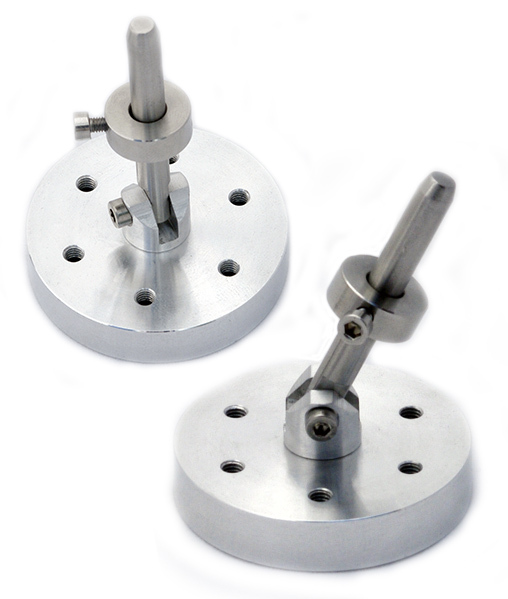 A UK-made carbon rod shaper is supplied with appropriate systems. See also electric carbon/graphite rod shaping tool and generic manual carbon/graphite rod shaping tools.